Well, shall we say, this was indeed news, news to me in particular. Since we don’t know who came up with this answer/question and under what circumstances, we can only speculate. 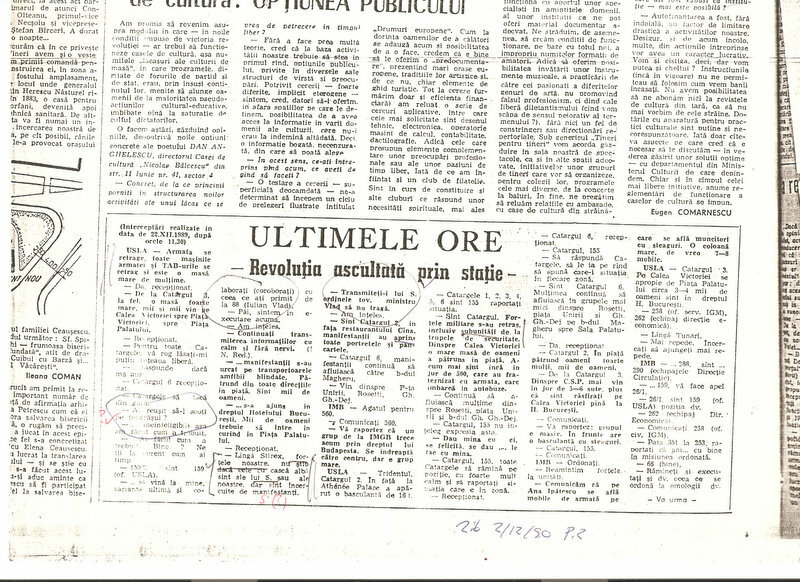 I was and am not surprised, being fully aware of the success of Securitate revisionism since 1989. Let’s spend a little time explaining why this answer is simply wrong. For starters, let us begin with the period of December 1989 before the Ceausescus fled on 22 December 1989. There are those who have sought to suggest that although perhaps Vlad started out executing Nicolae Ceausescu’s and the CPEx’s order to repress demonstrators in Timisoara 15-20 December 1989 (for some of Vlad’s orders during that time period, see Madalin Hodor’s https://revista22.ro/dosar/din-nou-despre-iulian-vlad-faza-pe-documente-agenda-generalului-de-securitate-tefan-alexie), that by 21-22 December in Bucharest he had started to abandon Ceausescu, thereby allowing the regime to fall the next day.